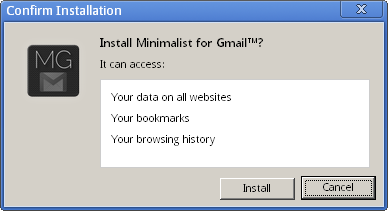 I received the notification below that Minimalist for GMail now requires access to Your data on all websites, Your bookmarks and Your browsing history. Apparently the programmer, Matt Constantine, is attempting to make this a portable plugin. Hopefully, he creates a separate version for portability, as the additional access is freaking people out (me included).